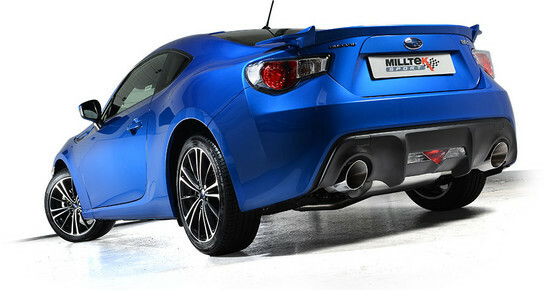 We can now offer the brand new Milltek catback exhaust for Subaru BRZ and Toyota GT 86! With the Milltek exhaust the first step to increase horesepower legal is done! Find can the Milltek in our Shop! Made completly from SUS, the Milltek exhaust is from great quality and durability, and saves close to 5kg over the stock Subaru and Toyota system. The 115mm tips give the BRZ and GT 86 an even more sporty appearence!